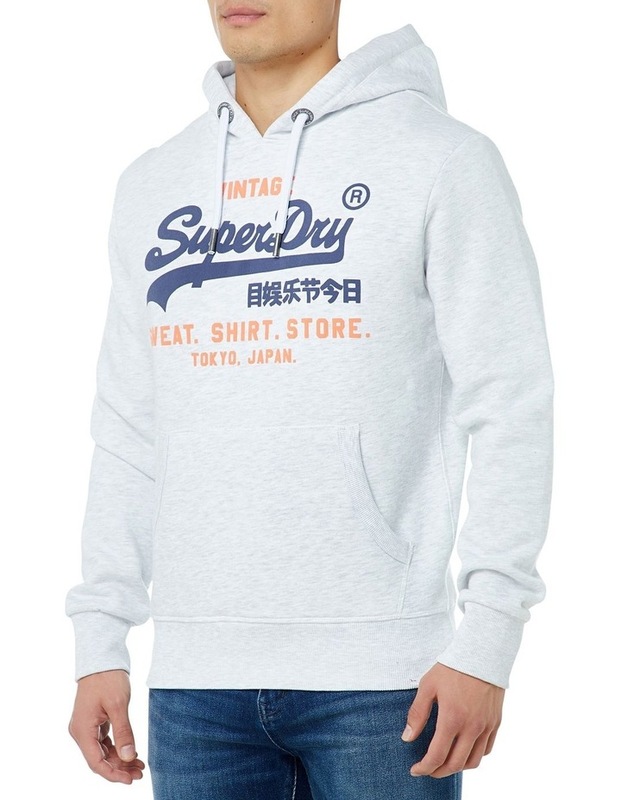 Superdry men's Sweat Shirt Shop duo hoodie. 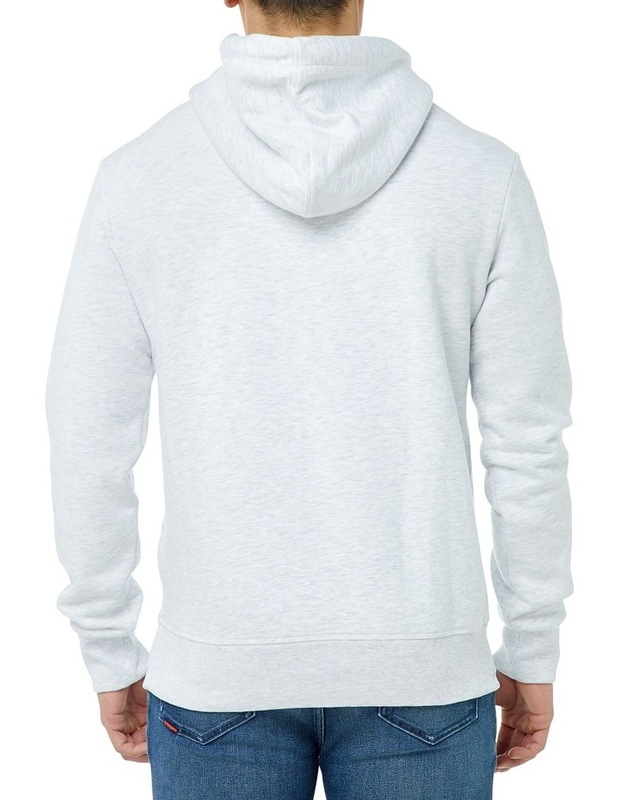 This classic hoodie is a wardrobe essential and features a draw cord adjustable hood, a front pouch pocket and ribbed trims. 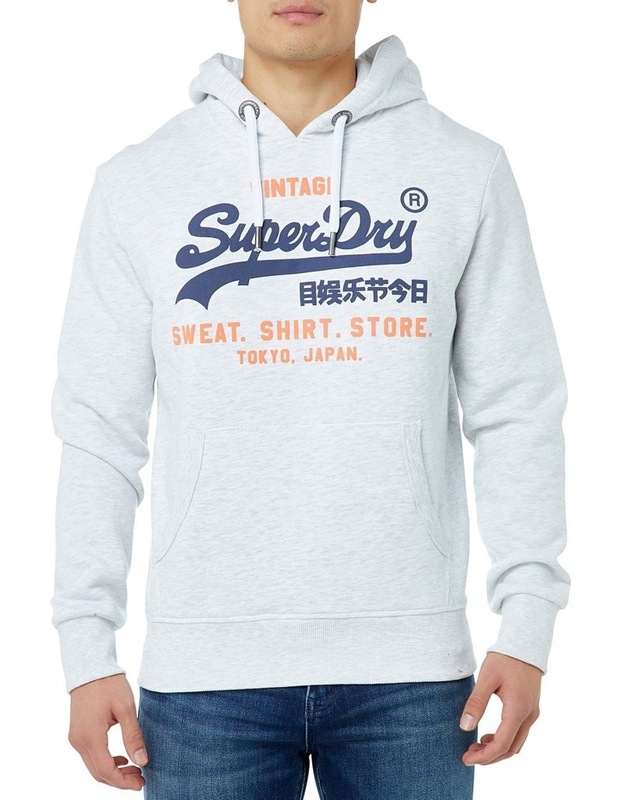 The Sweat Shirt Shop duo hoodie is completed with a textured Superdry logo across the chest, a logo patch on the sleeve and our signature orange stitch in the side seam.